The Invisalign® system offers one of the most advanced, precise and convenient options for adult and teen orthodontic treatment today, with clear aesthetic and health advantages over conventional metal braces. Invisalign® can give you great results, often with fewer dental appointments and less overall treatment time, at about the same cost as traditional braces. The Invisalign® system straightens your teeth with custom-made aligners made of a clear, thin, medical- grade polymer that is virtually invisible when worn. Since they are removable, you can eat, brush and floss normally. Our patients really love this! Each aligner moves your teeth little by little until you get to the end of treatment and a new beautiful smile. Since Invisalign® employs very gradual movement without brackets and wires, Invisalign® is a more comfortable and less painful way to move teeth than traditional orthodontics. A great feature of the process is the use of advanced 3D computer technology. Invisalign® combines proven orthodontic science with 3D computer graphics to project teeth movement. Each one of your aligners is precisely calibrated and manufactured to fit snugly over your teeth and gently move them through every stage of your treatment plan. Both you and Dr. Mello can view your treatment plan on the computer, from beginning to end, even before you begin treatment. Most appointments take just 15 to 30 minutes and are usually scheduled every eight to ten weeks, depending on the level of adjustment needed. Invisalign® fees are comparable to traditional braces, and orthodontic insurance usually covers Invisalign® to the same extent as traditional orthodontics. Invisalign® has been proven effective in both clinical research and on thousands of patients in private practices worldwide. More than 100,000 patients have gone into treatment with Invisalign®. Invisalign® gives you great results with less overall treatment time. With conventional braces, teeth are wired together, which can lead to inadvertent movement of adjoining teeth that must be corrected later in your treatment plan. 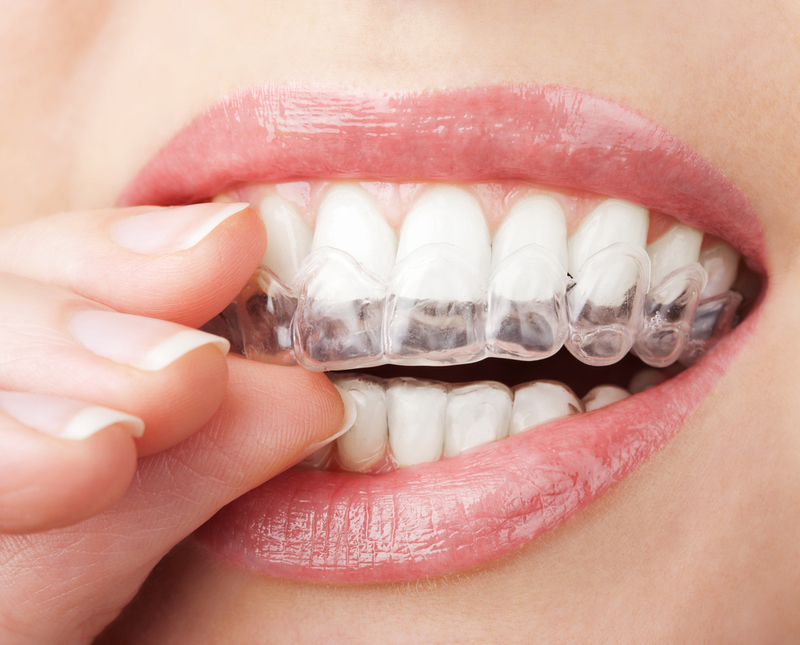 Invisalign® aligners are carefully calibrated to move only the teeth you want to move. This precise, targeted correction means more efficient movement, which can result in less overall treatment time. According to current research, in many cases orthodontic treatment is actually faster with Invisalign as compared to traditional orthodontics. On average, treatment with Invisalign® takes about six months to a year for adults, and about a year for teens, depending on the complexity of the case. No wire tightening means fewer dental appointments. The wires on conventional braces usually need to be tightened every four weeks, but since the Invisalign® treatment plan is mapped out from the start, we can give you several aligners at each appointment. That means for many patients, appointments need to be made only every eight to ten weeks, instead of every four weeks. It’s easier to keep your teeth clean and healthy. Invisalign® aligners are removed to eat, floss and brush. There are no wires to trap food and plaque, and no obstacles that make brushing and flossing difficult. You don’t have to wait for a beautiful smile. Unlike with conventional braces, most people won’t know you’re using Invisalign® unless you tell them! Now teens can enjoy the same advantages of Invisalign with a new system designed especially for teens. Invisalign Teen® combines all of the advantages of the proven system with special features designed to fit the active lifestyle and unique treatment needs of today’s teens. Room for growth. Now you don’t have to wait until teeth grow in completely before getting braces. Invisalign Teen® has eruption tabs that adjust to your teen’s changing mouth, so you can start treatment on your timetable. Peace of mind. There’s no need to worry about whether your teen is wearing the aligners often enough. Invisalign Teen® is designed with a Blue Dot Wear Indicator that fades to clear over a two-week period if your teen is wearing the aligners properly (20 to 22 hours every day). Flexibility. While it’s important for your teen to wear aligners as often as possible, aligners can be removed for those important special occasions like school pictures, prom and graduation. Something to smile about. According to recent surveys, more than half of today’s teens feel self-conscious about wearing conventional metal braces. 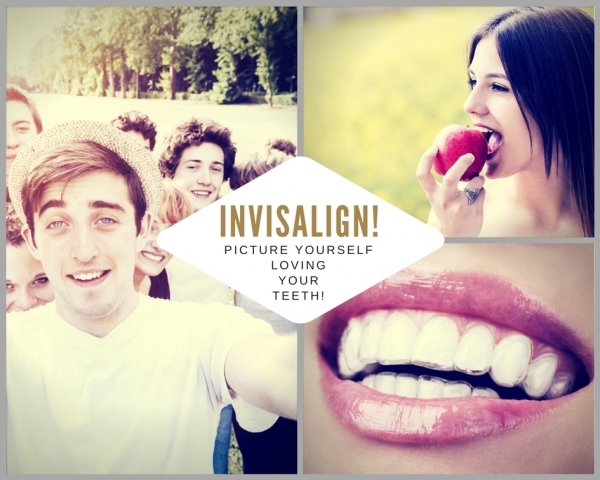 Since Invisalign Teen® is virtually invisible, your teen can smile with confidence. Sports safety. With Invisalign Teen®, there’s less risk for the painful sports impact injuries that can occur when teens get hit in a mouth that contains conventional braces with wires and brackets. Plus, custom mouth guards fit better over Invisalign aligners than over traditional braces. Invisalign® offers one of the most advanced, precise and convenient options for adult and teen orthodontic treatment, with clear dental health and aesthetic advantages over conventional metal braces. Contact NYC Smile Design to find out if clear braces are right for you or your teenager: Please call 212-452-3344 or complete our online contact form. Dr. Mello is pleased to see patients in and around Manhattan and other parts of the New York City area.